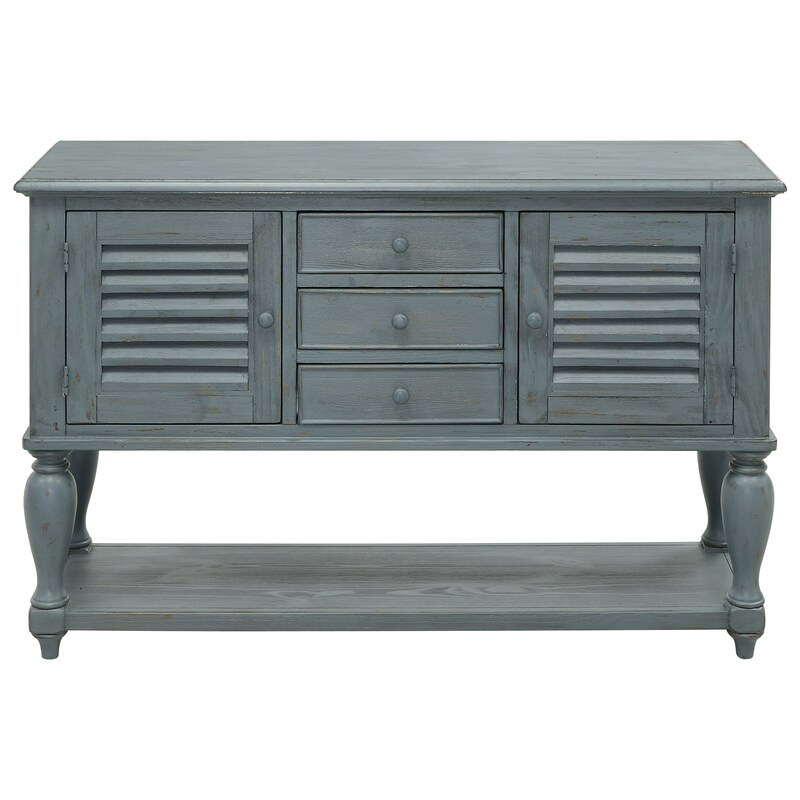 Add a touch of subtle color to any room with our console in an aged rubbed through Orchard Blue Rub finish. Turned legs support a lower shelf below, while above you find three ample drawers flanked by louvered doors, which open to reveal shelved compartments. Add your own personal touches, such as baskets below and some lamps or artwork on top, and enjoy. The Coast to Coast Accents Three Drawer Two Door Console by Coast to Coast Imports at Zak's Home in the Tri-Cities, Johnson City, Tennessee area. Product availability may vary. Contact us for the most current availability on this product.